This will be the 11th annual running of the Knights Run for Disabilities. Last year there was a moderate turnout with 81 finishers. Top overall finishers will receive gift certificate awards. 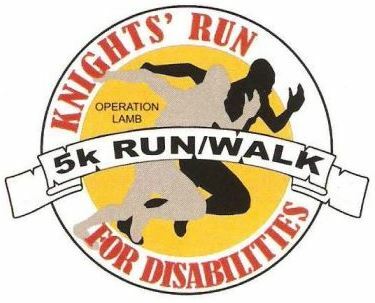 The Knights’ Run For Disabilities is a fund-raiser for Operation LAMB, a foundation established by the Knights of Columbus to assist the local special population with mental and/or physical disabilities. The High Point Council, 4507, has raised over $400,000 in the past 39 years to benefit local agencies.